From its beginnings in the late 1800s, this magical place has attracted tycoons, artists, writers, and musicians galore and-truth be told more than its share of eccentrics and free spirits. Coconut Grove has attracted adventurers since its beginnings. Long before Miami even existed, this tropical frontier village lured sailors and individualistic settlers into its quietly breathtaking natural setting with its wild sense of inspirational freedom. It’s no surprise Coconut Grove has been a haven of inspirations for such luminaries as Tennessee Williams, Robert Frost and Alexander Graham Bell. Today, the village known to locals simply as “The Grove”, is still a brilliant gem on the edge of the City of Miami. Though the sun can be found shining bright off the waters of Biscayne Bay any day, it?s the warm welcome of the Grove community that illuminates your stay. In the midst of a bustling world, the Grove remains a place of secret pleasures awaiting your discovery. As difficult as it is to imagine, the Greater Miami area a little more than one century ago was a vast wilderness with small clusters of hardy settlers living along the shores of Biscayne Bay. 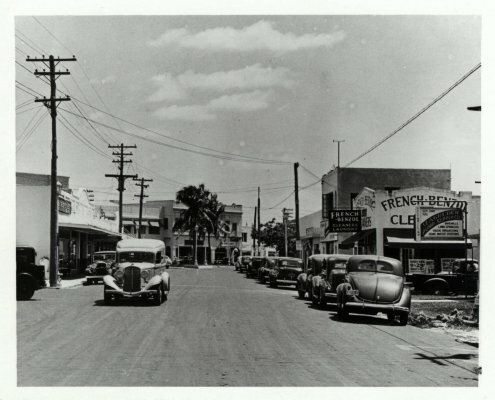 One of those communities was Coconut Grove, which, since the late nineteenth century, has enjoyed a reputation as south Florida’s most attractive, dynamic and independent-minded community. Clearly, its natural setting is unrivaled, for Coconut Grove looks out from behind lush subtropical foliage toward the turquoise waters of Biscayne Bay. The province of Tequesta Indians until recent centuries, Coconut Grove was, by the early nineteenth century, a favorite stop for mariners attracted to its bubbling fresh water springs on its waterfront. After the Cape Florida Lighthouse opened in 1825, light keepers and their assistants became frequent visitors to Coconut Grove. Wreckers or salvagers of disabled ships also visited the area. By 1890, Coconut Grove claimed more than one hundred residents ranking it among the largest settlements on the southeast Florida mainland. By then, those institutions associated with maturing communities began to appear. Ralph Munroe along with Kirk Munroe (no relation), a famous writer of stories for boys, founded the Biscayne Bay Yacht Club following a Washington Birthday sailing regatta in 1887. In the same year, Isabella Peacock began conducting Sunday school classes in a building constructed for that purpose. In 1889, this structure, still standing today on the grounds of the Plymouth Congregational Church as a designated National Register property, hosted the first public school in the county. The Sunday school helped spawn the first church, today’s Plymouth Congregational Church, where blacks and whites, for a while, worshipped together. The area’s fortunes changed dramatically in 1896 after Henry M. Flagler’s Florida East Coast Railway steamed into Miami. Soon hundreds of new settlers were pouring into Dade County. Coconut Grove residents viewed the area?s quickening development with concern for they knew that its pristine environment and casual lifestyle would suffer accordingly. 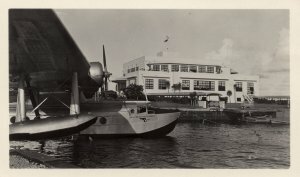 In the middle and latter decades of the twentieth century, Coconut Grove maintained many elements of its unique identity continuing to attract creative types like the writers, Marjory Stoneman Douglas, Hervey Allen, and Tennessee Williams, as well as many of the area?s most accomplished artists and musicians. 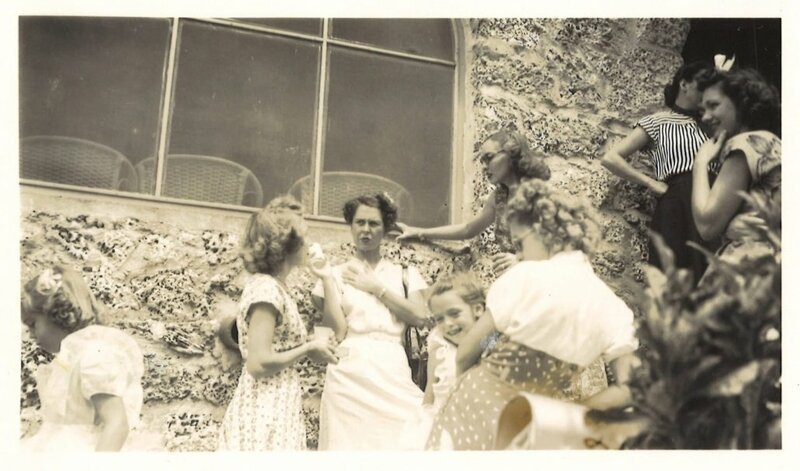 It also flourished as the seat of South Florida’s Bohemian life with its coffee houses, head shops, boutique art galleries and a popular gathering place in today’s Peacock Park, which drew beatniks and hippies. With its parades, art festival, and Halloween parties, it has remained a celebratory neighborhood.